*The paid sick leave requirements will become effective in new solicitations or contracts awarded after January 1, 2017. 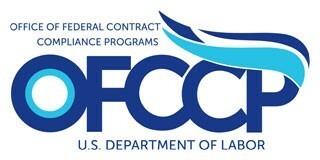 *Employees who work on or in connection with a covered contract must accrue 1 hour of paid sick leave for every 30 hours worked. *Paid sick leave may be substituted for or run concurrently with unpaid leave under the Family and Medical Leave Act. *A contractor’s existing paid time off policy can fulfill the paid sick leave requirements as long as employees have the same rights and benefits required by the Final Rule. Common Sense Counsel: The cost of doing business with the Federal Government just went up! Stay tuned for more information and a Constangy webinar date! My Partner Cara Crotty is reviewing the Final Rule and will publish a Constangy Affirmative Action Alert with more details shortly. Tommy Eden is a partner working out of the Constangy, Brooks, Smith & Prophete, LLP offices in Opelika, AL and West Point, GA and a member of the ABA Section of Labor and Employment Law and serves on the Board of Directors for the East Alabama SHRM Chapter. Some quotes contained in the column were taken from a Constangy Blog Post by his law Partner Cara Crotty. Tommy can be contacted at teden@constangy.com or 334-246-2901. Blog at www.alabamaatwork.com. Contact his legal assistant Christina Johnson cjohnson@constangy.com if you wish to be placed on the free Constangy update list.